Like cinema itself, the way women have been represented on the big screen has changed through the decades, from the early days of the silent movies when a pretty face would make a good actress to today when women have to have talent and determination to make it within the film industry. When the talkies arrived many of the female actresses lost their jobs because their face fitted but their voice didn’t. 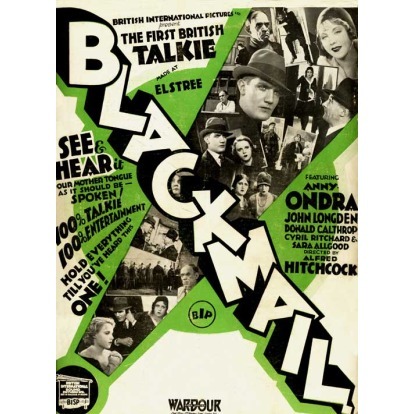 Stars such as Anny Ondra who was the star of Alfred Hitchcock’s film ‘Blackmail’ the film was originally shot as a silent film but was later reshot for sound with extra scenes added. Ondra’s thick Prague accent raised concerns so her dialogue was recorded off screen by actress Joan Berry. As sound and talkies grew in popularity Ondra’s British film career came to an end. The role of women both on and off the screen has been in constant flux ever since the days of the first moving images. The representation and portrayal of women on the silver screen has itself had an impact on society. The cinema helped give women a view on the world in which they lived and helped to form and shape opinions on relationships and behaviour. Many of these images and views were used to reinforce and strengthen stereotypes in society whilst some have helped challenge them. Many films presented females in a subordinate role to the male co stars. The women would often portray homemakers and mothers whose life revolved around the man. Women were seldom shown going out to work or having financial independence. Many films have portrayed an image of submissive and glamorous women who would used as a decoration on the arm of the man. Films such as – Gentlemen prefer blondes where the main film plot revolves around the two central characters preoccupation with trying to find rich husbands to look after them. The world of film was, and still is, to some extent a male dominated industry. As a consequence many film historians have noted that the female is viewed on screen through the male gaze, being presented in a way which carries connotations of subordinace and inferiority to males within the frame.